It’s true that every project is special to us, but this one was particularly lovely. This is because we were asked to project manage the development of our close partner Entec Si’s new website. 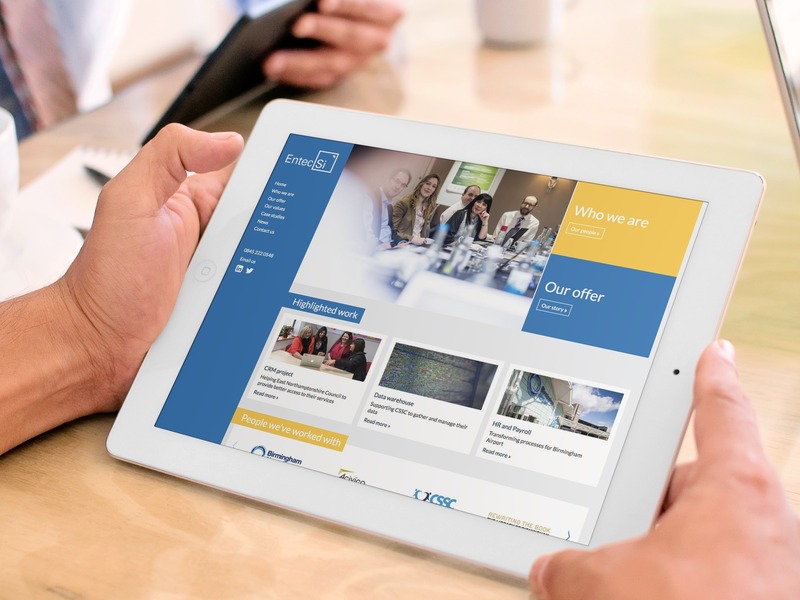 Based in Birmingham, Entec Si is a project and change management organisation who were looking to overhaul their existing website. Subsequently we were involved in all aspects of the project. This included requirements gathering, tender process, design, build and launch. Alongside this, the project enabled us to put our finely honed content skills to good use, which is always a joy. So we produced and edited copy across the site, and organised photo and video shoots. Moving forward, we continue to contribute content and are supporting Entec Si to develop their social media presence. The site went live in August 2017 to great praise from the Entec Si team. They now have a fresh, contemporary, mobile-first website that fits with their innovative and growing business. It was a fantastic project for us and like proud parents, we’re thrilled to see it grow and make its way in the world!